Who can qualify in MN for a sales tax exemption on utilities? If a manufacturer or an industrial processor files a valid utility exemption certificate Form ST3, its utility purchases will be tax exempt to the extent of the production consumption of a particular meter. A utility study is required to determine the percentage of production that a particular meter consumes. How can one obtain the sales tax exemption on utilities in MN? Once Form ST3 is filed with and approved by the utility company, the account is tagged exempt. The sales tax exempt status is reflected directly on the bill, and sales tax will be reduced by the appropriate percentage. Does the State require that Form ST3 and the utility study be completed by a professional utility engineer? No. The state and utility company will accept these forms to be completed by the taxpayer. However most companies in MN use an experienced professional for various reasons. The state highly recommends using a professional. Professionals can maximize the savings, and certify the accuracy of the utility study. 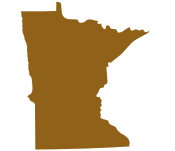 What is the scope of a Professional performing the utility exemption work in MN? Accurate completion of the utility study: On Your Mark completes and certifies the utility study. There is no charge for the study and its evaluation until after the savings has been approved. Claim for refund: In MN, a refund claim will be filed and vigorously pursued by On Your Mark if the exempt meter qualifies to recover sales tax paid during the 42 month statute of limitations. Benefits of the sales tax exemption on utilities: Typically a 5-8% savings is obtained once the MN sales tax exemption is approved, and the sales tax is immediately reduced or removed from the bill .